It has been an absolutely hectic few weeks here at Oldfarm …. not that we are complaining! As you will have noticed the blog has been completely neglected – I just did not have the time! I have never had a ‘guest’ blogger before so I thought as I didn’t have the time, I’d have a guest blogger. Great idea you’d think? In reality I didn’t even have time to publish the post!!! I’d ask Margaret Griffin from at FoodBornandBred, to explain the whole ‘freezing’ thing. 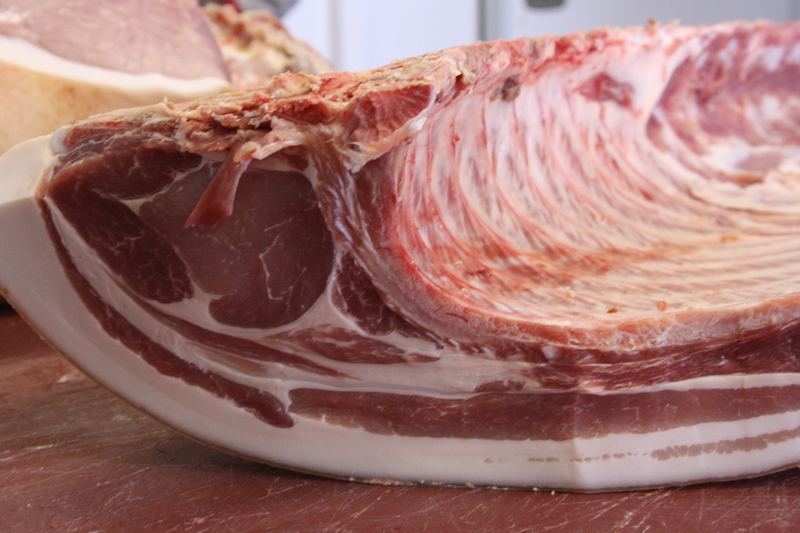 As we don’t use ANY preservatives in our pork or bacon the only way we have of ‘preserving’ our meat is by freezing it once it is butchered. I felt as Margaret has a professional qualification in Food Science she could explain the technicalities way, way better than I can. And I was so right! Did you know you could freeze eggs? I freeze egg whites, but never thought of freezing the whole egg. I was asked by Margaret from Oldfarm to write an information piece on freezing. I have put together a few pointers which I hope may be of help. Everything to do with food I find, is trial and error. What is acceptable to me may not be to you. The primary aim is to preserve and thaw food so that it does not have any impact on food safety and a minimal impact on quality. The first thing to remember about freezing is there is almost nothing you cannot freeze. The quality on thawing may not be great but for the most part will still be useable in some shape or form. Primary examples of this are cream and coconut milk. Both tend to separate on thawing but are still perfectly fine cooked in a sauce. Freezing preserves fresh food. Food which is old has a higher bacterial count. Freezing does not kill bacteria or toxins produced by bacteria. Freezing just inhibits bacterial growth. However, once the water in the food becomes available (to the bacteria) on defrosting, they quickly resume their growth curve. This is known as “available water”. Bacteria like all life need water. For this reason it is important to freeze food in prime condition. If you purchase food that is very close to its use by date it is advisable to freeze it but consume it within a few weeks. Fruit and vegetables with a very high water content do not freeze well. This is because the ice crystals that form are large and upon thawing disrupt the cell wall structure of the fruit causing leakage. So strawberries will become soft and flaccid on thawing. Lettuce limp and brown. Freezing eggs in their shell is about as advisable as freezing a glass bottle of anything liquid. Liquids expand on freezing so unless the glass bottle is half full it is probably best avoided. To freeze whole eggs break and whisk them together noting on the label how many eggs you have used. Then remove from freezer and place overnight in the fridge to thaw. When I managed a bakery we used to buy 20 litre boxes of fresh whole eggs and freeze them all the time. The key is to defrost slowly. Pork and bacon both freeze really well. Years ago I always heard that it was not advisable to freeze bacon. This was due in part to a lot of it being cured by injection. The meat is injected with brine using lots of injector needles rather than immersing it. This method was used as it was quicker and got the brine distributed throughout the joint more evenly. However, the needles disrupted the meat cells and when defrosting there was considerably more leakage. 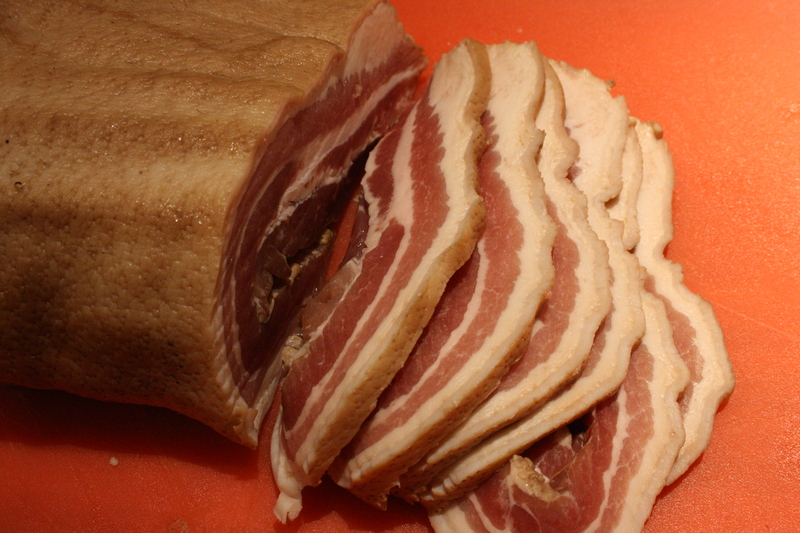 Oldfarm pork and bacon is frozen immediately after butchering and curing. This means that both the bacteria count is very low and as the bacon is immersion cured it will freeze and thaw without any noticeable loss of quality. Thawing frozen food is best done slowly so as not to impinge on the quality. Rapid thawing causes more cell wall damage leading to more water loss. A large joint of meat for example is best defrosted in the fridge for between 24-48 hours, depending on the size. In winter I often defrost meat overnight in a room that is not heated and find this works equally well. Never defrost meat by immersing in warm water. The defrosting bacteria can initiate a huge growth spurt as the water not only becomes available but warm. The bacterial equivalent of a rave ensues. Cue the human equivalent of the Black Death. Defrosting in a microwave is useful if you are in a hurry or have forgotten to take something out of the freezer on time. The most important thing to remember is that defrosting in this manner is patchy and uneven. A roast joint can almost cook on the outside and still be rock solid in the centre. I find the best way is to set the microwave on defrost for a minute at a time and continually turn the item. Then cook immediately. It is really advisable to probe a joint cooked after rapid defrosting to ensure the core has reached temperature. A guideline I go by is that most food poisoning bacteria are killed at 63 degrees centigrade. However, food safety guidelines tend to advise 72 degrees to allow for a margin of error. If your core temperature is 72 degrees you can be fairly certain you will be fine. The main thing to remember is that you get out of the freezer what you put in. If you freeze good quality, well hung and butchered meat (like that from a reputable meat supplier such as Oldfarm) you take out the same. Excellent article Margaret and Margaret. Never knew you could freeze eggs how wonderful to know that. As there are only 2 of us in our house, eggs tend to hang around or omelettes are the order of the day on occasion to use ’em up. Now I can freeze ~ woohoo!!. Ena…. Margaret does a great job on her blog… you’ll love following ehr. Thanks Ena…. and to you too!